You might be asking why this would be helpful. Say you or your client want to create an app that will run on all iOS and Android devices. 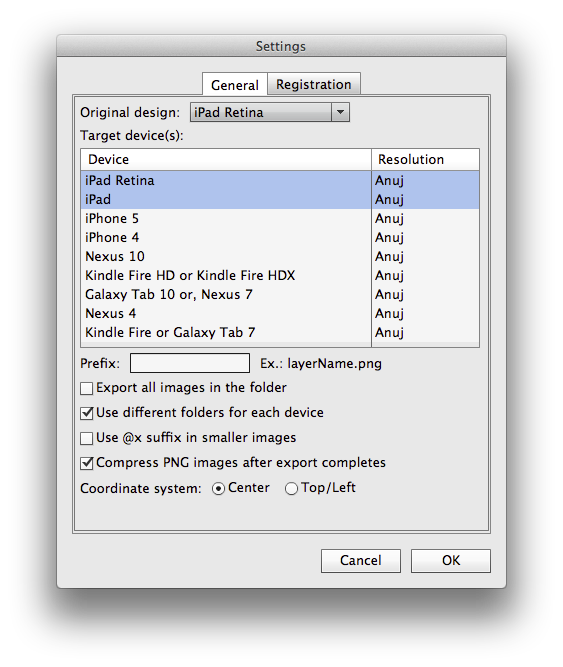 Well, you could create the artwork for retina iPads, shrink it down in Photoshop for non-retina, shrink it again for phones, and then repeat for Android, Kindle Fire, Nook, etc. or you could design everything in Photoshop one time and then let Kut do the rest for you. Let me show you what I mean. First, I downloaded the free trial of Kut and installed it via the Adobe Extensions Manager. 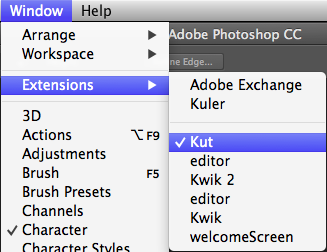 Then in Photoshop I opened the Kut panel. 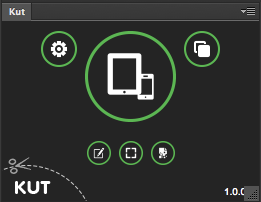 I opened Kut’s settings and selected the devices I would like to support. I started a new Document. 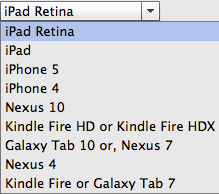 In this case, I chose iPad Retina as my starting device since it has one of the largest resolutions of 2048×1536. 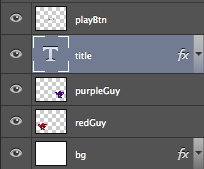 Using different layers, I created a screen for a game that is sure to win numerous awards for fantastic artwork. I saved my .PSD file to a folder on my Desktop. I clicked the Publish button and got a popup window since it was my first time using Kut (in this instance, I wasn’t making an app icon, but Kut will create icons for your app if you want it to). 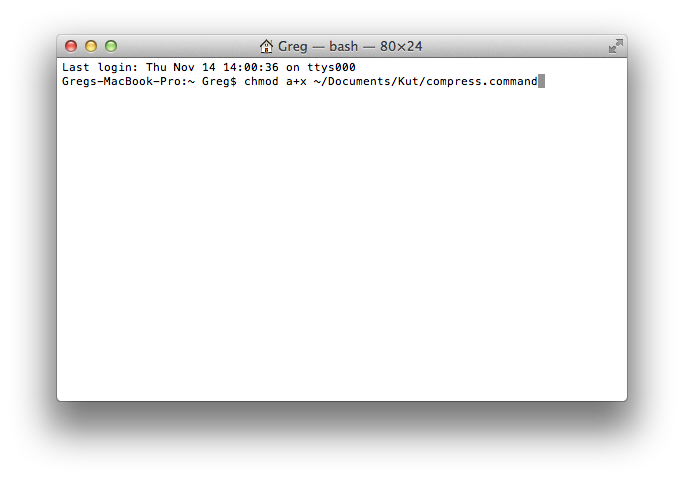 So I did as the pop up asked and pasted the code into Terminal. And just like that, I had artwork compressed and sized for every device. Obviously had I purchased the full version, the watermark of “KUT KUT KUT KUT” would not be on each image. 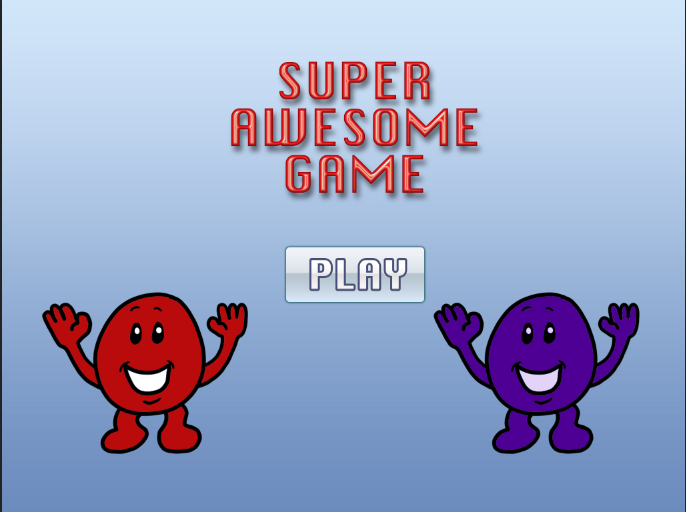 However, in mere moments, I was able to create artwork for a game for 8 different devices. This could normally take hours and Kut did it all in a click of a button. If you’re thinking about picking up Kut, buy it before December 31st and it’s only $19.99. I decided to pick up the full license to remove the watermark. 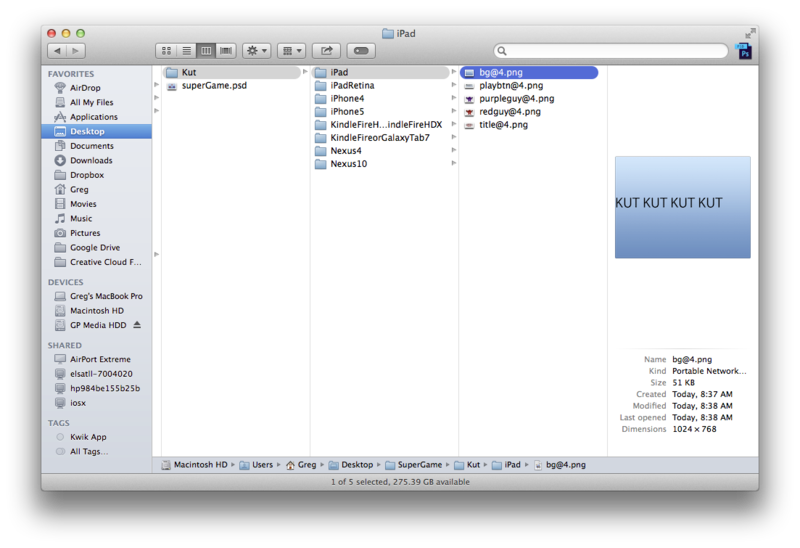 Kut is definitely very useful software for cross-platform development and for $19.99, you can’t go wrong. 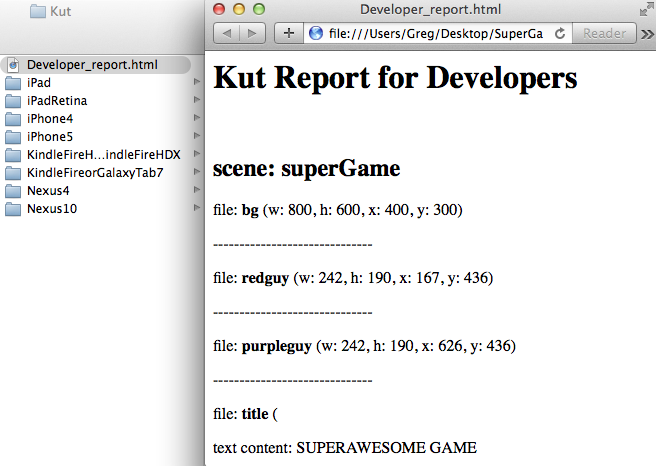 This time when I published out my artwork, I was given a developer’s report that is part of the full-version of Kut. This is extremely useful for rebuilding the interface in your coding language of choice. Now not only do I know the dimensions of my artwork, I also know the exact coordinates to place them on the screen. If you’re reading this, you should stop now and download Kut, it’s a great tool that I’m going to be using a lot.